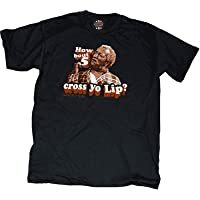 Officially Licensed Sanford and Son Tee. 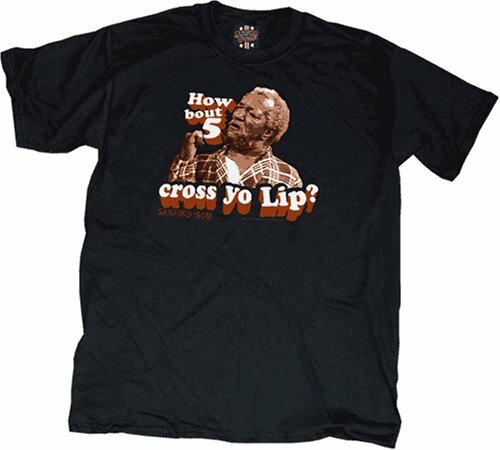 "How bout 5 cross yo lip?" Black shirt. Fred Sanford. 100% Heavyweight Cotton.